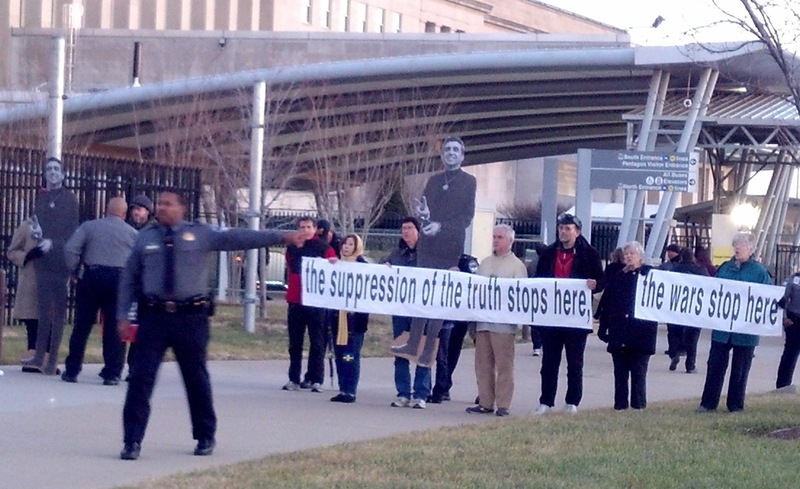 On December 27 and 28, over 50 members from the Atlantic and Southern Life communities, and other peacemaking friends, gathered for a retreat at St. Stephen and the Incarnation Church and a nonviolent witness at the Pentagon to commemorate the Massacre of the Holy Innocents – past and present. This year we honored in a special way, our friend and mentor, Dan Berrigan, SJ, who died on April 30, 2016. 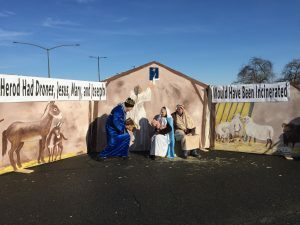 On December 23, as many throughout the world prepared to celebrate the birth in Palestine of Jesus, the Prince of Peace, four members of the grassroots group Upstate Drone Action were arrested at the main entrance of Hancock Reaper Drone Base on East Molloy Road in the town of DeWitt in upstate New York.